In June 2016, Two men will depart from british columbia and head to belgium, where they embark on a bicycle journey to india. this trip is a fundraiser for an non-profit organization called lighthouse voyage. all funds rasied will go towards the work that lighthouse voyage is doing and will have a direct impact on the lives of those living in captivity or going through rehabilitation as they are recover, or to bringing education and medicine to the slums and rural areas of india, to experience healing. We believe that, as dire as the overall situation seems, there is hope for this cause. we believe in the priceless value of each soul and yearn to see everyone experience freedom. Check out their Website & facebook to know more! THANK YOU FOR HELPING US TOWARDS OUR GOAL! Joel Friesen: is currently in the third year of his undergraduate studies in psychology. Born in Brandon, Manitoba Joel has lived as far East as Scotland and as far west as Langley, British Columbia. He has a passion to see people experience freedom from captivity and to follow God wherever he might be led. Joel believes in pursuing justice no matter the cost and is so thankful for the support that has already been received for this venture. 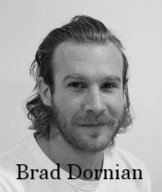 BRAD DORNIAN: BORN AND RAISED IN SURREY, BRAD DORNIAN GRADUATED FROM BCIT AS A JOURNEYMAN CARPENTER IN 2011. CURRENTLY STUDYING BIBLICAL THEOLOGY, BRAD IS FOUND EITHER READING, WRITING OR ADVENTURING WITH FRIENDS. HIS PASSION FOR PEOPLE AND THEIR STORIES COMPEL BRAD TO CONTINUE TO PUSH THE LIMIT OF WHAT IS EXPECTED OF HIS GENERATION. ALWAYS THINKING OUTSIDE OF THE BOX, CHALLENGING THE STATUS-QUO AND INSPIRING OTHERS TO DO THE SAME, BRAD PREFERS THE ROAD LESS TRAVELLED.